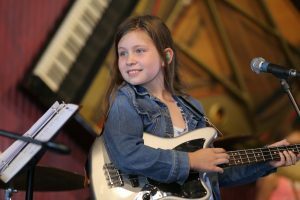 Your child will be placed along with their peers (based on skill/age) in their very own rock band. With a super-supportive BandCoach at their side, the band will navigate the river of rock n roll! 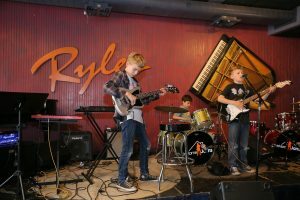 Along the way, musical and life skills will be met and mastered as they prepare for the BandBash, where they will perform a set of cover songs and originals in front of rockin’ crowd of their friends, family, and peers! improvisation, ear training, tempo, and groove.